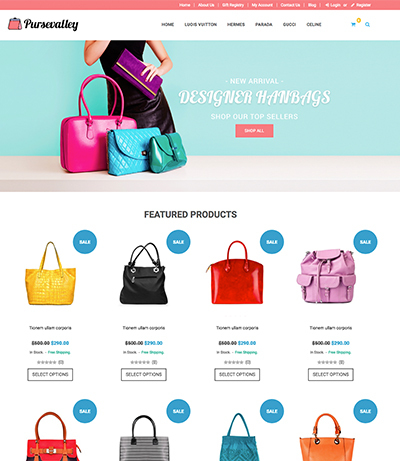 Selling handbags or backpacks is a business that will never go out of fashion. As long as people have things that need carrying, they will be buying bags and backpacks. 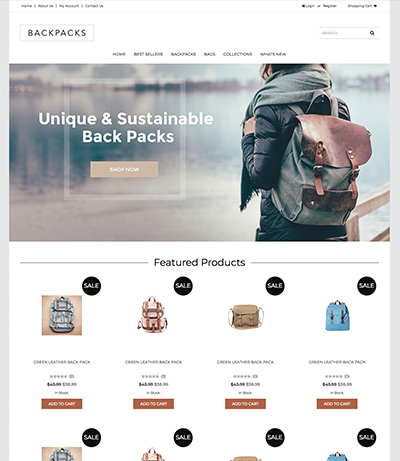 Whether you sell handbags, backpacks, or duffle bags, the themes below are perfect for building your ecommerce store. There are a few steps you will need to take to make sure you get your online store up and running to start generating revenue. If you’ve made it this far we’re assuming you already have a product. So the first step for you is to pick a theme that best suits your brand. Keep in mind you’re not limited to these options as most themes are universal, with certain products being displayed as an example for an easy start. 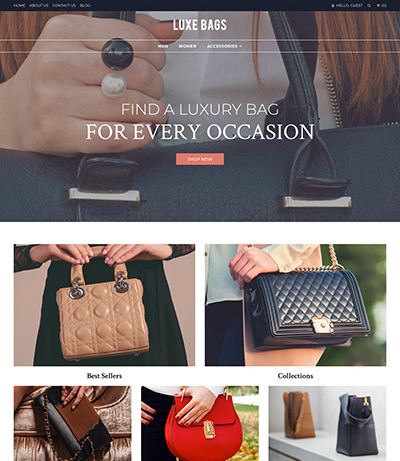 While each theme can be customized, make sure to pick one closest to what you want your site to look like to save time on customizations. Step 2 is usually the fun part, you get to dive into the backend, customize your store and upload your products. When uploading your products make sure to use good product photos as customers will use the photos to determine the quality of your product. In the e-commerce space, the picture of the product tells most of the story, and you want to make sure it tells that story accurately. Once the products are up you want to make sure all your processes are in place. For the most part, this will revolve around getting your payment and shipping set up. The good news for you is 3dcart has more payment gateways than any other e-commerce platform and has a ton of shipping integrations that create a seamless experience. Once all the fun is done, its time to launch your store. When you do, you want to go through it as a customer would and make sure everything is as you would like it to be. Look over all your products and call to actions and make sure its all in working order. Lastly, its time to market your store, whether you’re selling backpacks, handbags or something else, its time to get into some marketing. Being an ecommerce store you will want to engage in SEO, PPC advertising, and Social Media to start. If you don't know much about it, it's often better to hire the help of an expert to provide you with ecommerce marketing services. The journey to business growth starts here, pick a theme and start building your store. If you are not using 3dcart yet, start your 15-day free trial today!